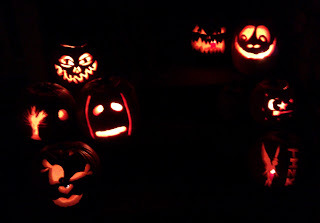 This year we had weekends of fun. 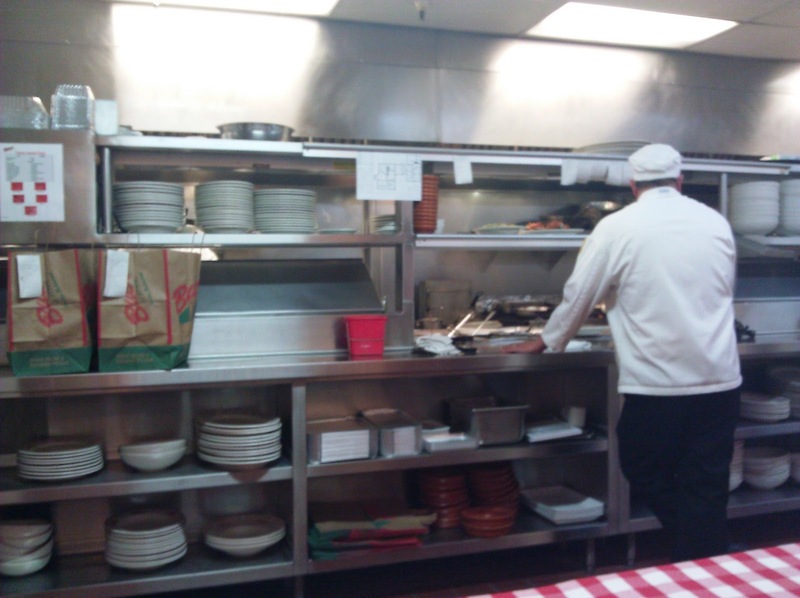 One night we got together with the Murphys and went to Buca di Beppo! We sat in the kitchen, but it got way to hot so that didn't last long. The food was amazing as always! 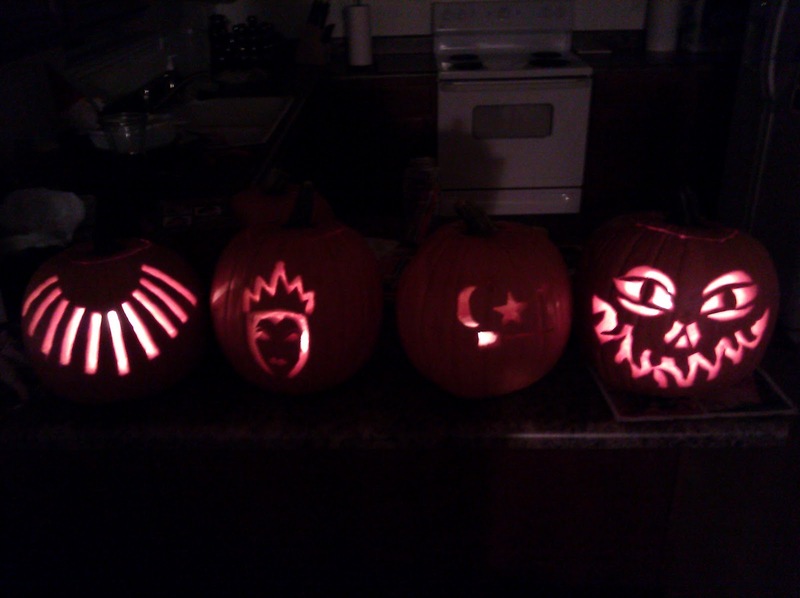 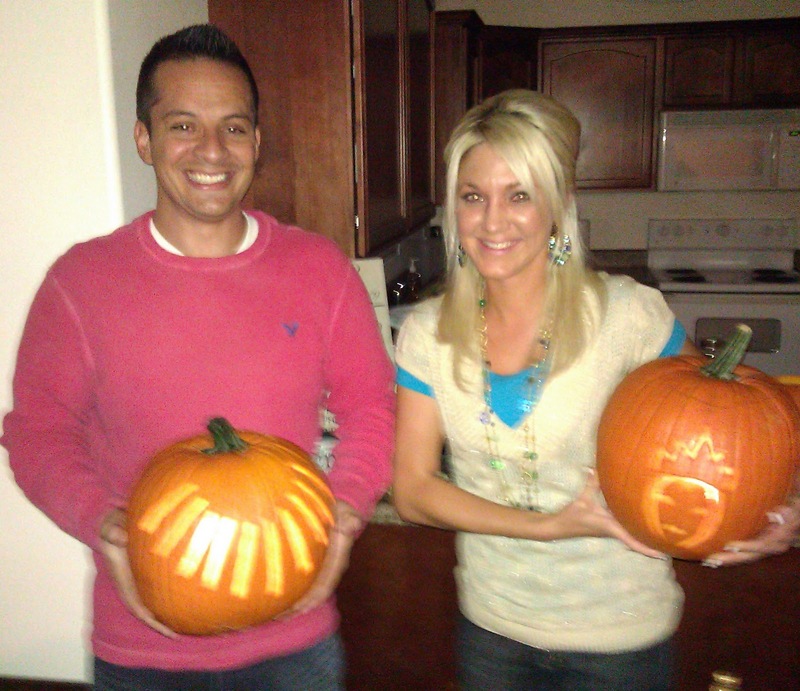 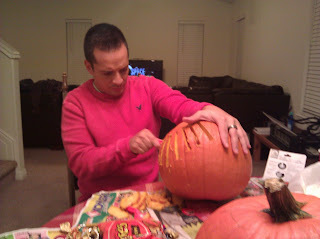 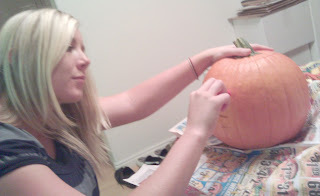 Then it was back home to carve pumpkins! 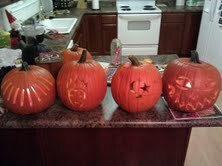 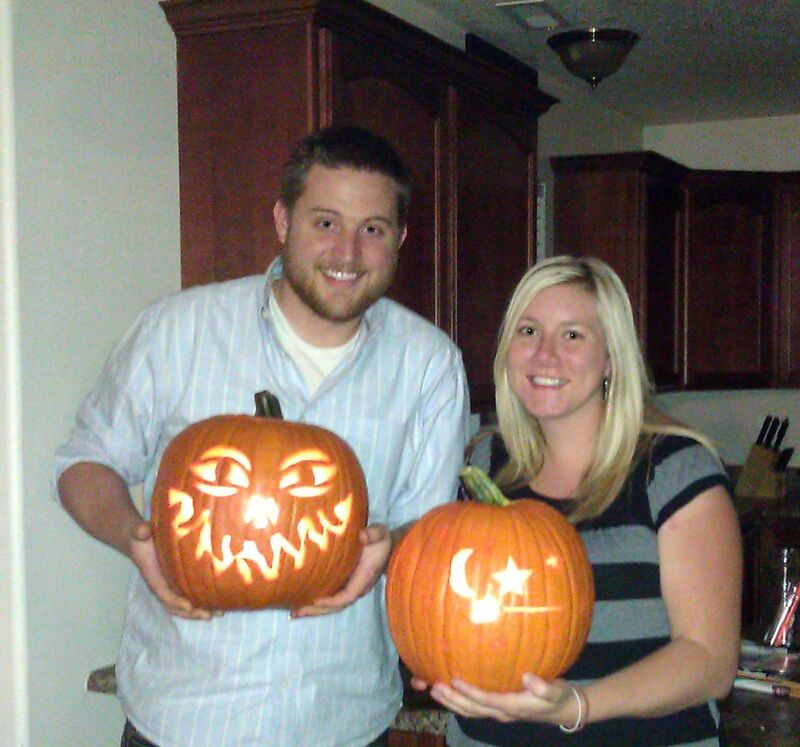 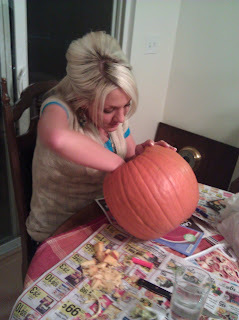 A few nights later we had Payden, Annette, Colby and Heather over for some more pumpkin carving and scary movies! 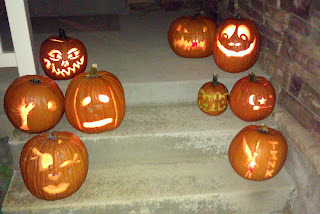 Mike and I both have more since we carved some previously. 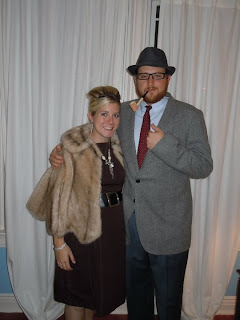 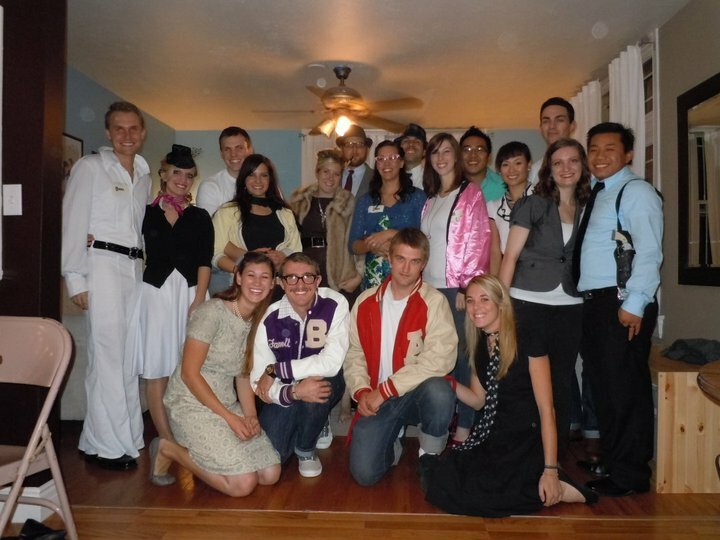 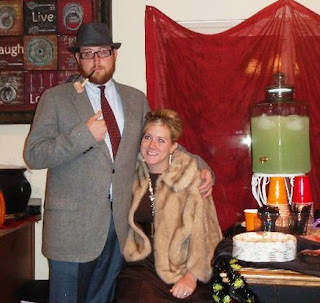 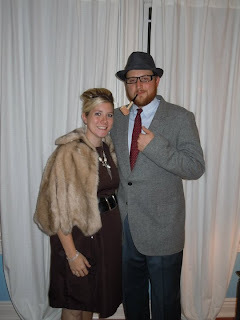 Then the next weekend we went to a 50's murder mystery party! 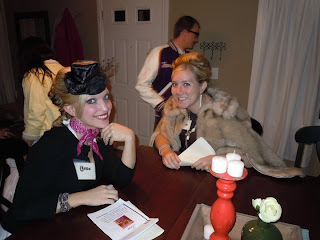 Kristen and Rachel planned it and it was a blast! Mike and I were Susan and Steven we had 6 kids and lived in mansion on a hill. 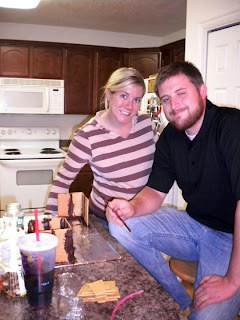 Mike and I both graduated in Business. I burned down some stores in the mall for revenge. 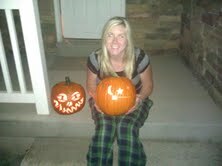 Last, but defiantly not least! 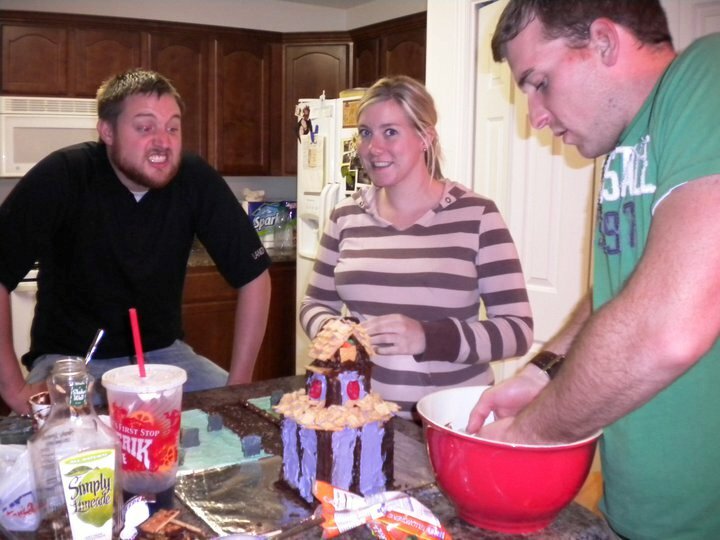 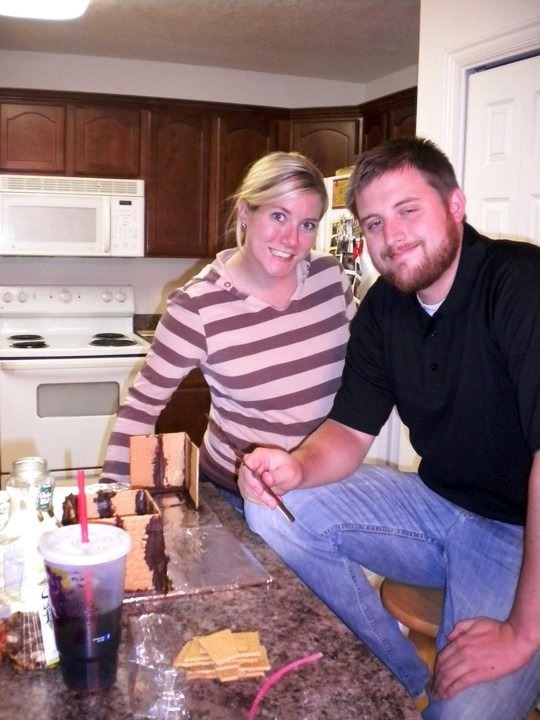 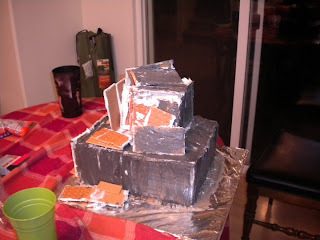 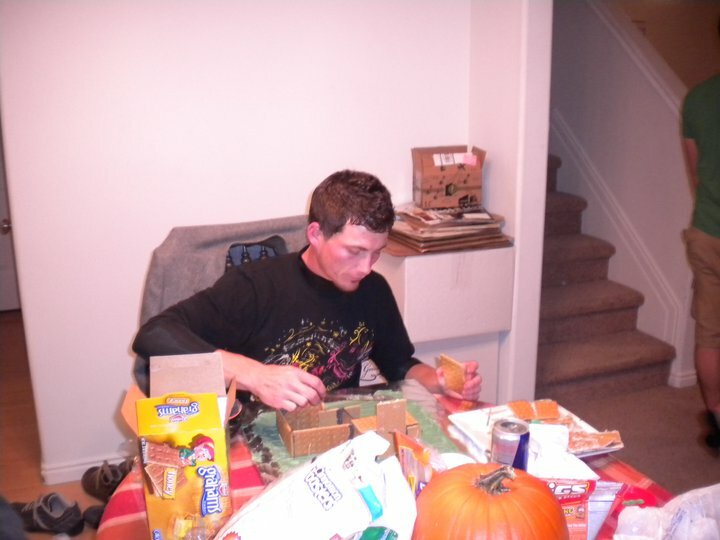 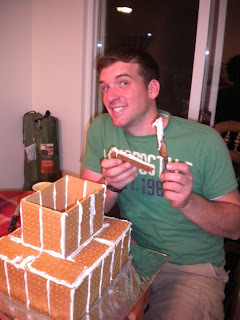 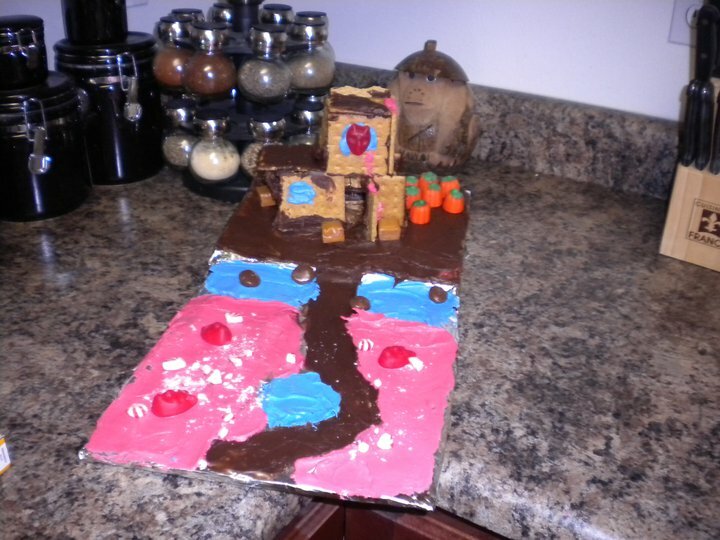 Halloween night we made HAUNTED GINGERBREAD HOUSES! 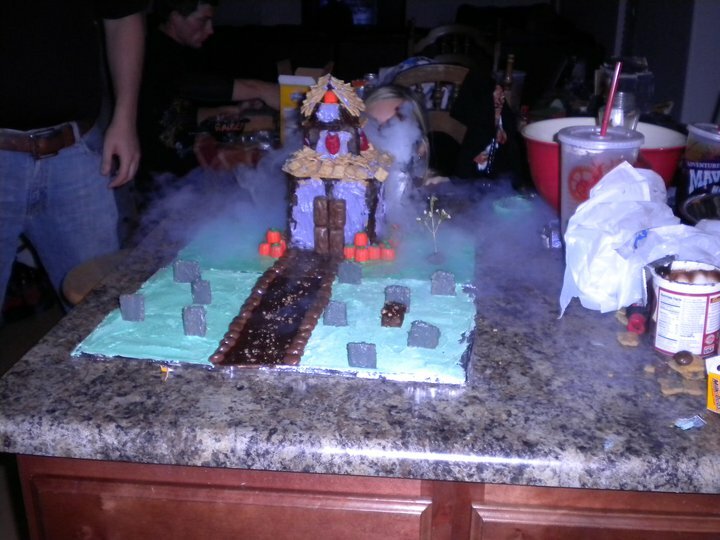 Mike and Nikki's House! 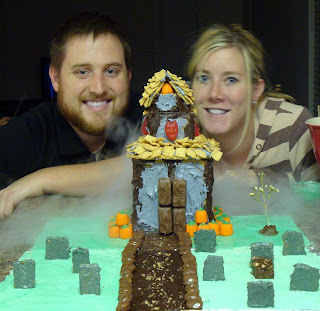 Yes that is dry ice! I think it's safe to say we won the competition this year to! 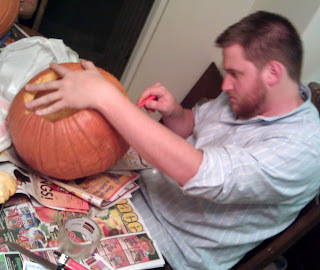 Colby working on his masterpiece! I love your pumpkins they all look really good!! 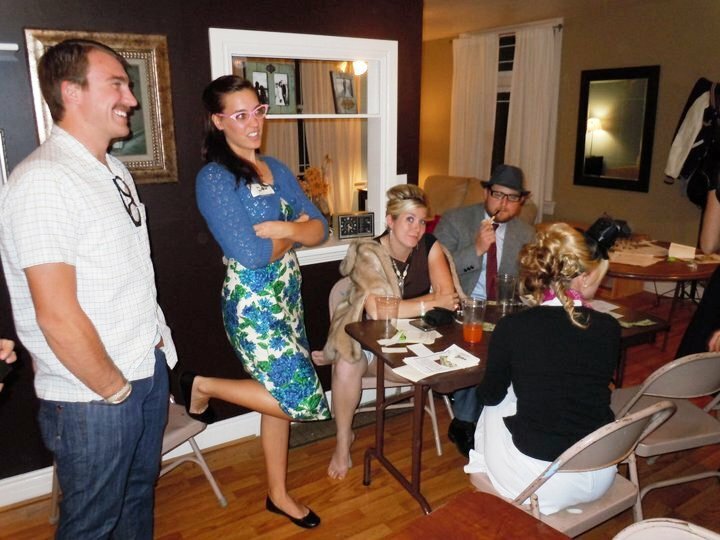 So who was the murder at the party? 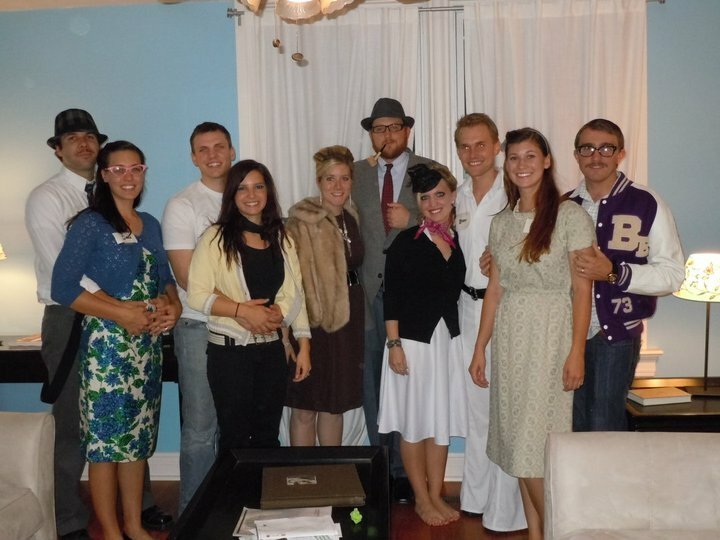 What a fun Halloween! 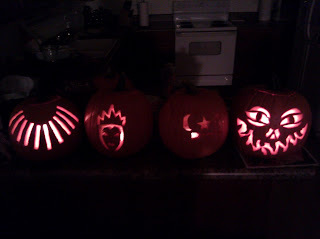 Some time you'll have so show us how to celebrate Halloween better... we're kind of Halloween Scrooges.